Powerful yet easy to use with all the tools you need in a Single Suite. World class consumer interface that works on all screens Smartphone, Tablets and Web. Integrate hyper-local information so you stand out as the Market Expert. 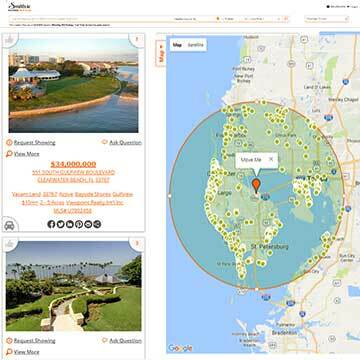 Our innovation in Real Estate search has made our property search lightning fast. Using the latest in data processing and storage we have improved the speed for the search process. Adopting web 2.0 and beyond we now have Responsive sites which display beautifully on all screen sizes. Changing layouts are used to better match the screen its served on. Search Engine optimization being an integral part of any online marketing plan is taken care of with our product. Built with an SEO friendly structure and tools are included to fine tune your SEO to your needs. Our sites have a clean and simple UI making it easier for the user to search and find information giving them a better browsing experience. 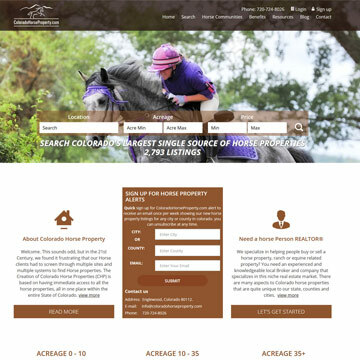 Colorado Landmark, Realtors’ website, www.coloradolandmark.com, received high marks in a variety of critical areas relating to website performance, including usability, design, content, interactivity, customer service and mobile responsiveness. The evaluation was conducted by Virtual Results, LLC, a real estate internet and social marketing firm selected by Leading Real Estate Companies of the World® to review the websites of participating members. Terabitz Website Chosen Again by Real Trends! The results are out and Terabitz client Better Homes and Gardens Real Estate Gary Greene was one of the sites selected for Best Design. Sites chosen for the particular recognition are done so because: “Website design and user experience often depend on user understanding of how the website works. There should be a unique value proposition (UVP) addressed on the home page that states who you are, what you do and why people should care. User experience consists of several variables including layout, clear navigation, usability and branding on a website.”. We’re proud to have been part of this group and congratulate our client Better Homes and Gardens Real Estate Gary Greene . Coco, Early & Associates has been awarded the Website Quality Certification (WQC) from Leading Real Estate Companies of the World®, a global community of more than 550 high quality independent real estate firms in over 60 countries. The certification was presented in recognition of excellence in website design, content and functionality. Coco, Early & Associates’ website, www.cocoearly.com, received high marks in a variety of critical areas relating to website performance, including usability, design, content, interactivity, customer service and mobile responsiveness. 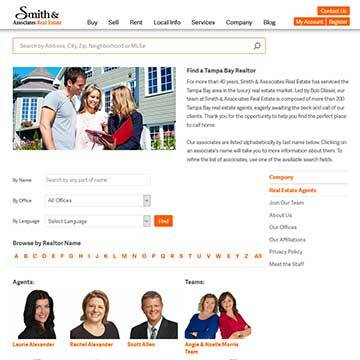 (Tampa, FL) - Smith & Associates Real Estate is proud to announce that www.SmithAndAssociates.com has been recognized as one of REAL Trends’ Top Real Estate Websites in the country. Smith & Associates received top honors as the #1 Map Search and is listed among the Top 10 Best Overall Websites nationwide. The website’s neighborhood information in particular was highly praised. 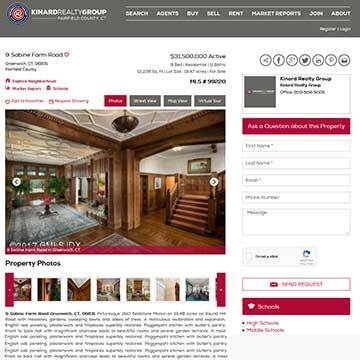 Terabitz Launches Two New Custom Sites Los Altos Hills, CA (November 5, 2014) Terabitz, the leading web marketing platform developer for real estate brokerages, announces two new real estate websites. Smith and Associates of Tampa, FL (www.smithandassociates.com) and Laffey Fine Homes of Long Island, NY (www.laffey.com). Both real estate brokerages picked Terabitz for their combination of a robust technology backbone and customizable, full-featured marketing outreach tools for agents and their clients. Terabitz Continues to Innovate and Grow Palo Alto, CA (January 18, 2012) - Terabitz, a leading provider of enterprise web platforms for real estate brokerages and their agents, recently announced another impressive year of new client engagements and further enhancements to its three large broker platforms. A search that offers the highest level of personalization for today's consumer. The Housetouch search is a tag based search, meaning that a consumer can search for properties based on what they want. Want hardwood floors, radiant heat, a bay view and a home with 3 bedrooms and 2 bathrooms in a particular neighborhood? Simply select the tags for this and the search will immediately narrow your results as you select your tags giving you the perfect home immediately. There are no limits to the tags for a search as Housetouch goes through the verbiage provided by the MLS versus using static parameters, making a consumer's search options limitless. Even better yet is the fact that Housetouch is very mobile-friendly so you can pull out your phone or tablet and enter your tags and Housetouch will find the homes that match your criteria in the area your are in immediately. At Terabitz we process dozens of MLS's every single day for near real time updates. We also process many terabytes of photographs along with the textual MLS data. Whether the MLS provides RETS or FTP access we are able to reliably obtain the data and keep it refreshed as often as the MLS allows. Additionally, we store sold data on our servers for use in CMA and other calculations depending on the rules set by the MLS. In every case we guarantee that the display conforms to MLS rules and that ALL the fields are available to the agents for their use. Managing clients can be difficult. 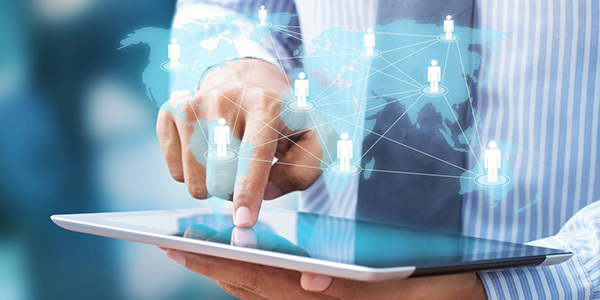 Terabitz's CRM not only helps you monitor and manage your clients and their information but you can also use the automated marketing system to help stay in touch with them. The CRM can be customized with how an agent works with their clients so they can maintain their methods for customer management and the Broker can also propose plans and tracking methods for an agent to use. The bonus is that all activity coming in from either the Broker or Agents websites is automated, meaning no one gets lost in a paper shuffle. 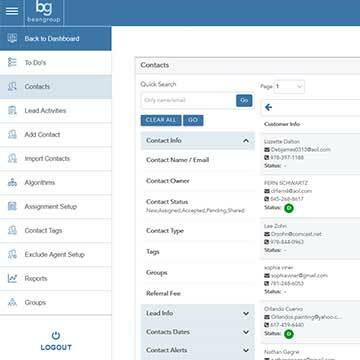 Terabitz has also made it easy to bring in clients from other software programs so they can all be managed from one CRM. Terabitz lets you customize the search feature by the communities in your area. A community may be an entire town and/or the neighborhoods (*based on MLS information) that make up your towns. Community searches put a local perspective for your area offering personalized content, school and business reviews and listings for that specific area making your site the local " Expert"; providing a view into the areas you service that the national sites do not. Why is it called 5 Minute Property Websites? Because you can create a stunning, content rich website for a listing in about 5 minutes. The MLS information for your listing is already set up so all that needs to be done is select a template and your property website is complete. It might take you the full five minutes if you decide to add some additional content for your listing! Our One to One module provides a potential seller with their own personal website that provides market information which is customized to reflect how the real estate market is doing around their neighborhood. This information is updated on a daily basis and displays recent activity. 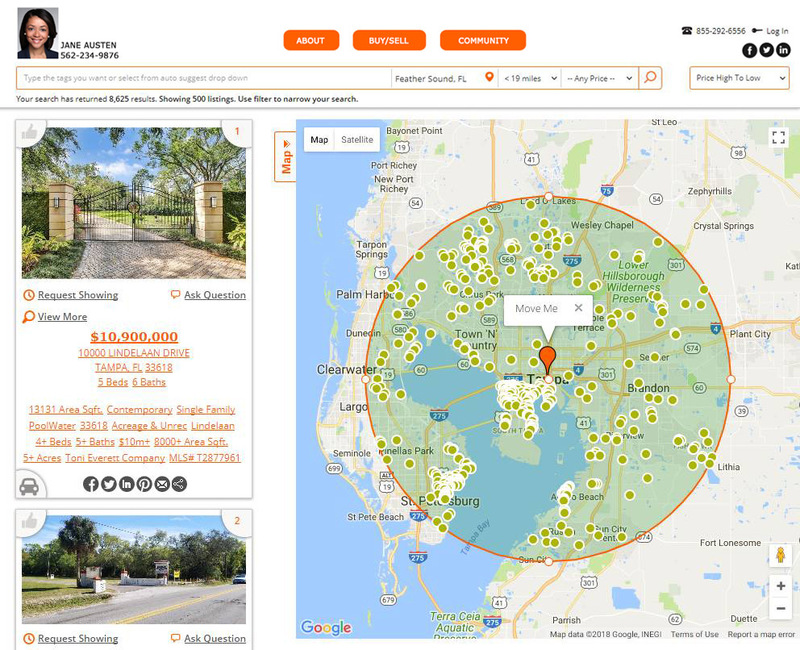 The website provides a map with market activity and statistics around the potential sellers home. A valuation tool gives comparables that closely match your client's home and allows them to see what potential return they may have. Communication is also made easy as the potential seller can type in questions which are emailed to you immediately. 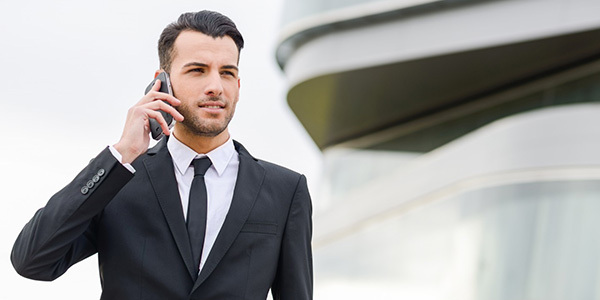 This helps you (Agent) generate more leads and stand out as an expert in their market. In our four year partnership, One Cavo has found the Terabitz team to be remarkable in its ability to respond quickly and exactly to our initiatives, from building our revolutionary One Cavo Core platform to its ongoing development. I am pleased to offer my highest recommendation to customers considering partnership with Terabitz. After experiencing disappointments with previous vendors, we made it a priority to do a very detailed review when choosing a new direction. In the end, we chose Terabitz because, like us, they are a flexible boutique firm willing to provide the high level of customization we would require. Unlike our last provider who over-promised and under-delivered, Terabitz has become a true partner who implements any customization quickly and at very reasonable rates. As an added bonus, the team is a pleasure to work with. It is always a pleasure to work with people who actually care about your business. The support and dedication we received from Terabitz at Coco, Early & Associates has been one of the best. Their professionalism, patience, and timely responses has enabled our company to thrive in this ever changing real estate market. Our website is the forefront for generating virtual business and we could not be happier with the way it looks. We receive many compliments from customers, and vendors who love how clear, and user friendly our website is to navigate. A very important aspect of our company is being able to create a vision and bring it to life. This would not have been possible without the help from our friends at Terabitz. We hope that in sharing this you too can be part of a wonderful team of web designers that go above and beyond for you! Terabitz provides the level of support and collaboration that we have been looking for in a website partner. The support team is top notch, and is constantly bringing new ideas to the table. This is important to our firm as we were looking for a partner, not just a vendor. Terabitz has served us very well with the creation of our initial website and again as we go forward to implement several upgrades. Terabitz allows a mid-sized company like ours, a chance to compete with larger franchises and they actually offer a more cutting-edge platform, proving their leadership in the field. We are very impressed with the level of service that we receive. Our go-to coordinator is knowledgeable, friendly, thorough, patient and responsive and the support team provides excellent training and is quick to resolve any issues that we may have. We highly recommend Terabitz as a company that provides what we need in the competitive field of real estate. Terabitz, long considered a leader in Real Estate Software innovation, offers a robust, customizable technology platform for Brokers and their agents; perfect for any size brokerage. Using our decades of technology and Real Estate experience, Terabitz asked brokers and agents all over the country what they needed for their business and what we heard was that brokers and their agents wanted a seamless solution that would help them manage their current business easily so they could be out generating new business. They also wanted to be able to present themselves as the local experts with comprehensive hyper-local information to compete in today's market. 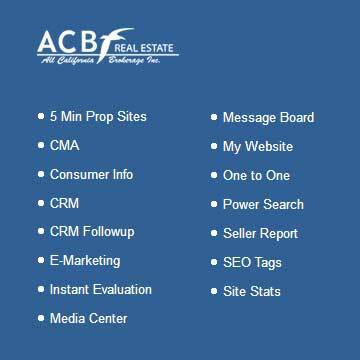 In response to that our team has delivered a solution that not only provides a website for your brokerage but also provides: Lead Management, CRM, CMA, Marketing, page content control, a full suite of agent tools (including complete agent websites) and the ability to distinguish yourself as the local market expert: all of this in a single, easily accessible package. Terabitz offers a set of technology solutions that puts you where you belong: front and center with your customer and positions you as the premiere real estate destination in your market.